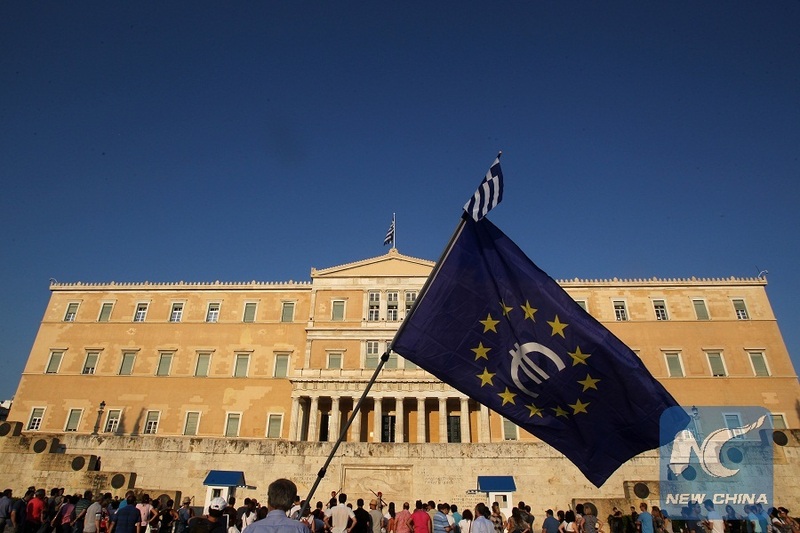 ATHENS, Dec. 18 (Xinhua) -- Six out of ten Greek citizens fear that Greece will most likely be forced to sign a fourth bailout with its international lenders in 2018 in order to deal with its financial woes, according to a survey released on Monday. The current program, the third Athens has signed since 2010, expires in mid 2018, but 87.2 percent of respondents in the poll conducted by MRB polling firm do not see light on the horizon, according to local daily To Vima (The Tribune). Greeks are mostly worried about unemployment (65.3 percent of respondents), over taxation (47.3 percent) and the health system (35.2 percent). A total of 70.2 percent of Greeks between the ages of 18 and 24 and 49.8 percent of Greeks aged 25 to 34 would choose to leave the debt-ridden country should they have a chance to live and work abroad. Meanwhile, 59.4 percent of respondents said they still felt anger at the situation, 49.7 percent shame, and 38.6 percent anxiety. And although 20.5 percent said they had hope for the future, only 6.4 percent said they felt proud of their country. Asked which country they believed could help Greece tackle the crisis, 32.4 percent of participants selected Russia, 30.1 percent France, 19.8 percent Britain, and 19.1 percent China. Germany and the United States followed with 13.3 percent. The survey was conducted on a sample of 2,000 persons between Dec. 1 and 10.